Sometimes, when we have been busy focusing on our healthy, broccoli based diets and 5k runs there comes a point where your body needs something really gross to shock the system. And what better way to do this than to consume the dirtiest, milkiest Milkshake possible. I had been tipped off by Amy Redmond, (Mother of SinkthePink), to a strong milkshake spot. So we headed out into the grey afternoon in search of the holy grail of Shakedom. 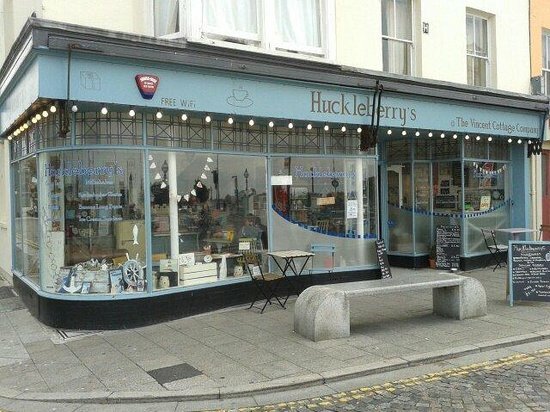 Opposite the sea lies a humble café known as Huckleberry’s. We are greeted by two lady’s and some young boys who are just about to “shut up shop”. They tell us that we are more than welcome to order something, however, so we get straight into the menu’s. Amy, who’s already experienced the milky delights of this cakey mecca, opts for the Malteaser option. I go for the famed cookie dough. We get them to takeaway so we have chance to take a seaside stroll. As we leave the shop we both suckle on our shakes. The instantly satisfying cold dairy sheens the backs of our throats and we swap shakes in glee to sample the decadence of two flavours. Amy’s Malt definitely has added malt and my cookie dough is as sickly as can be. We stroll along the seafront and pay a visit to Bob at GB Pizza. On arrival we both happily thrust our shakes at him so that he can too get his dairy hit. Bloated and satisfied we return to the car and focus on planning our lacto-recovery. Huckleberry’s Margate, you hit the spot!